Find Out This Month’s Special! Monthly esthetic specials available. Please call our office for details 907-276-1315. Chemical peels can be performed alone to refresh the skin or for best results a series is recommended to improve the overall appearance and texture of the skin. Chemical peel series are performed one week apart for Glycolic and Pumpkin peels. Jessner’s and TCA peels are performed two weeks apart as these are deeper and can often cause the skin to flake or peel. The Jessner’s and TCA peels require prepping the skin beforehand since these peels are stronger than the Glycolic and Pumpkin. This is a wonderful superficial chemical peel for most skin types. It is a 30% blend of Glycolic and Lactic acid and pumpkin enzyme that smells amazing. The peel improves the texture of the skin and softens the appearance of fine lines and wrinkles as well as lightens hyperpigmentation from acne scarring or sun damage. Available in 10%, 20%, and 30% strength, Glycolic acid peel is an Alpha Hydroxy Acid (AHA) derived from sugar cane. This peel creates a mild exfoliation of the top layer of dead skin cells. While improving the overall appearance and feel of the skin, this peel removes the damaged layer of skin cells and stimulates the cell renewal process. Those with dry, oily, and acne prone skin will benefit from this treatment. A gentle blend of TCA with Lactic acid for all skin types including sensitive skin conditions such as Rosacea. This peel improves the texture of aging and dehydrated skin, lightens hyperpigmentation, and reduces fine lines and wrinkles. Those with acne will also benefit from this peel. A mild modified Jessner’s blend of Alpha Hydroxy Acid (AHA) with Kojic acid is beneficial for oily and acneic skin. This chemical peel improves the overall appearance and texture of the skin by reducing the oil buildup that clogs pores and lightens discoloration from scarring and sun damage. *Multiple layers of chemical peel can be added to both the TCA and Jessner’s peels for a deeper exfoliation. An exfoliating procedure that removes both dead skin cells and fine facial hair. Benefits include enhanced product penetration, removal of hair, increased collagen and elastin formation, and brightens the skin leaving it absolutely glowing. Ideal for most skin conditions even for women who are pregnant or breast feeding. This treatment is truly amazing and will leave you obsessed with your skin. 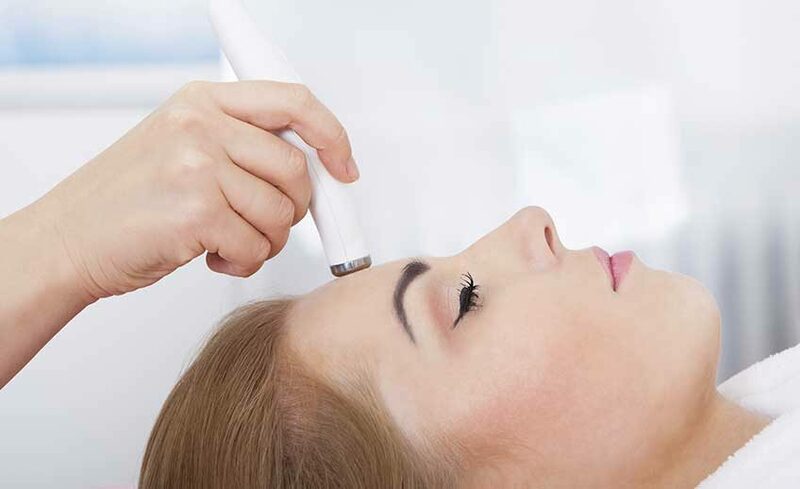 Using the diamond tip technology, microdermabrasion exfoliates the top layers of dead skin by scraping and suctioning the skin’s outer layer stimulating the cell renewal process while leaving the skin smooth and fresh. This treatment improves the overall texture of the skin and is perfect for those with hyperpigmentation from acne scars or sun damage. The treatment is followed with a hydrating mask for added nutrients and hydration. This relaxing facial helps rejuvenate the skin leaving it feeling nourished and renewed. Features a deep cleanse, exfoliation with steam, extractions, hydrating mask, individualized serums to benefit your skin and nourishing moisturizer. Includes face, décolleté, and hand/arm massage. An ideal facial for sensitive skin conditions such as Rosacea. A beneficial Oat Milk Mask is applied to calm irritated skin. Anti-Redness and Hydrating serums improve appearance while adding much needed hydration to impaired skin. Includes face, décolleté, and hand/arm massage. An individualized facial treatment for acne or skin prone to breakouts. The facial includes Detox Gel to deep clean pores, exfoliate dead skin cells, and prep the skin for extractions. High frequency is used to kill bacteria and reduce inflammation. A beneficial and relaxing treatment for the back consisting of a deep cleanse, exfoliation with steam, extractions, mask, light massage, and moisturizer. For additional exfoliation and to help clear up blemishes add a chemical peel and high frequency to kill bacteria for $20.